SUDOTECK released application ATT Calc for iOS. This application has four calculation functions. 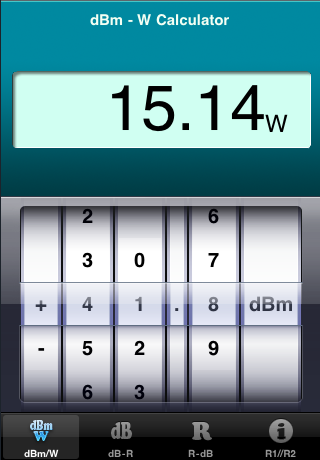 1) dBm to W calculator . 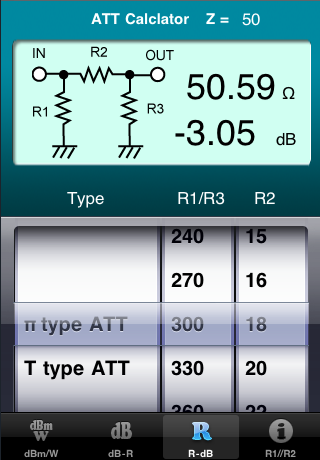 2) ATT value in dBm to each Resistors of circuit . 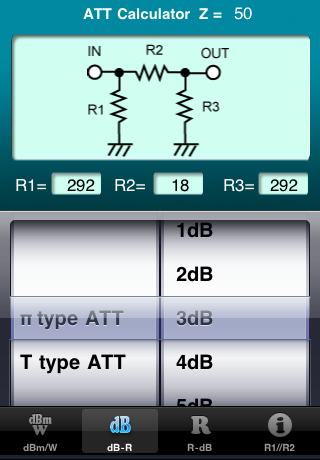 3) Resistors of circuit to ATT value . 4) Resistance connected parallel . So power value in W will calculate above . Select ATT value with right Wheel . Each R Value will calculate above . 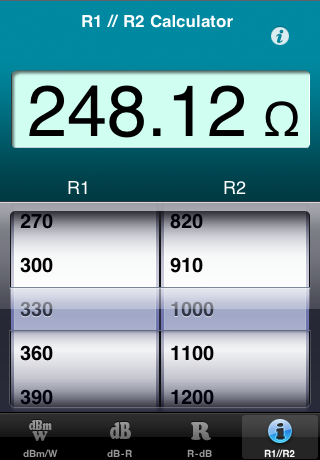 and calculated total impedance in Ohm . can go to Support URL . If any questions ,Please comment this . Version 1.10 Now Release ! W to dBm function Add .